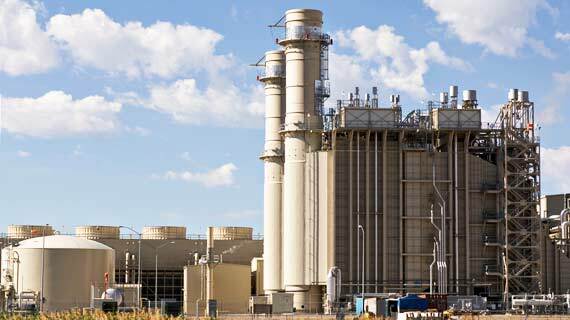 Plant turnarounds make up the single largest identifiable maintenance expense, and controlling their costs and duration is quite the challenge. 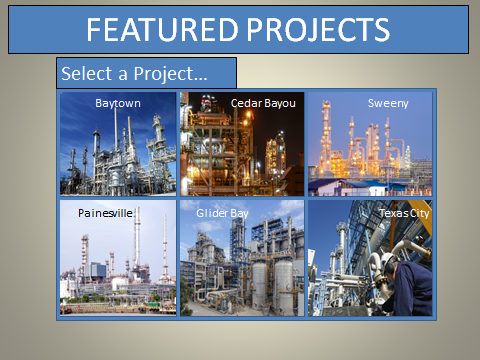 Turnarounds are scheduled periods of non-production within an industrial plant (refinery, petrochemical, power plant, and pulp and paper mills). 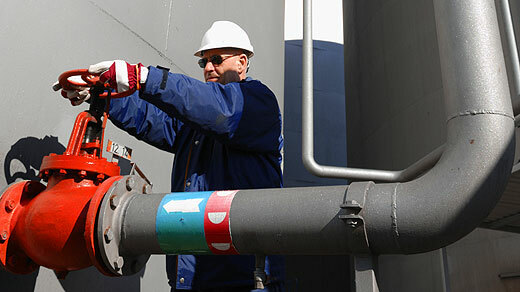 Daily operations stop during the duration of a turnaround and instead, the focus shifts to maintenance related activities, cleaning, inspection and equipment repairs required to improve safety. During a turnaround, plant employees and other contractors work continuously to prepare the plant to resume its regular operations. The short story: with no production, increased labor and equipment expenses, shutdowns are extremely expensive. Turnarounds are essential to maintaining the peak efficiency of complex operations and the high costs are discovered when production losses due to downtime are factored in. They may take months to complete; and can require the management of possibly hundreds of contract and permanent personnel. There’s no doubt that keeping all of those dollars, hours, and people on target requires extensive planning. Just preparing for a turnaround can be even more time-consuming than the turnaround itself, taking anywhere from a year to 18 months for an execution ranging 2 to 4 weeks. However, even with the best set-up and preparation, turnaround predictability isn’t really that predictable. Experts say that there are three characteristics that can influence the outcome: the size of the project, measured in direct field labor hours; the amount of capital work; and the interval or timetable. So, what is it that keeps plant operators and maintenance managers up at night? It’s the labor concerns – not having the resources to find the right people they need when every minute counts (and costs). Case in point: researchers at Independent Project Analysis (APA) evaluated more than 400 maintenance turnarounds, they heard a common refrain: there aren’t enough people to do good planning. 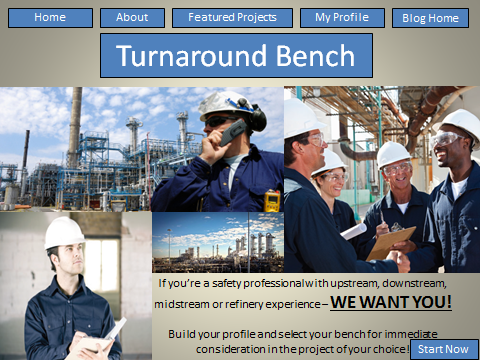 Unfortunately, turnaround projects are facing a skills shortage just like the entire energy industry. Many turnaround veterans are retiring and not enough new labor is entering the market. This makes the need for external expertise higher than ever, creating ample opportunities for individuals with specialized skills. Their biggest paint point for a manager: knowing what they need, but starving for the right people simply because none are available or aren’t the right fit for the job. Skilled labor is increasingly hard to find because of many turnaround veterans leaving the workforce versus a bleak replacement of young professionals. 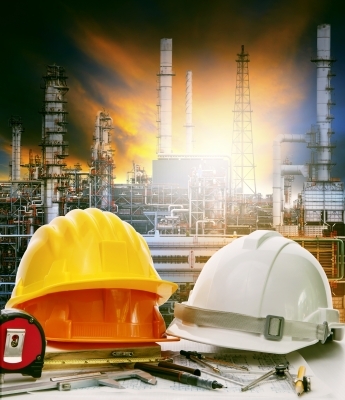 Deficiencies of up to 50% are expected in mechanical trades in particular, but there is also a lack of project managers and planners – positions that require skills that are hard to develop internally, thus creating a need for external expertise. According to a survey from T.A. 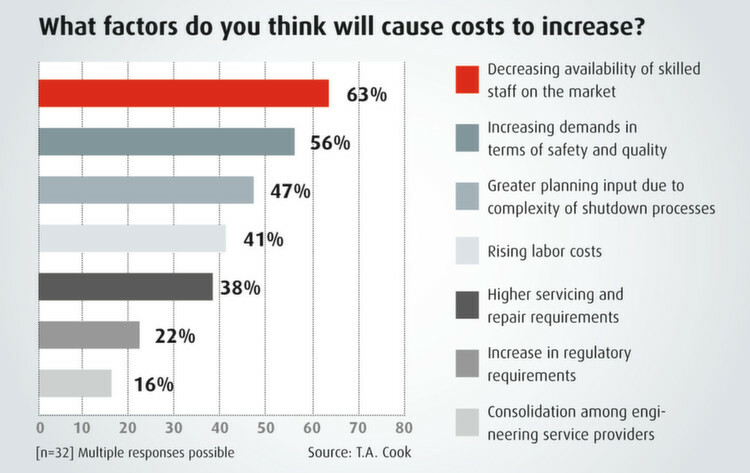 Cook, skilled staffing will most likely be the main factor to cause turnaround budgets to blunder. With the expectation that turnarounds will be more expensive in the future, keeping staffing costs in line is a big part of a clean start for an efficient, effective turnaround. In times of need, it is especially difficult for managers to find the right kind of people at the right time to fill their turnaround project needs. We’re developing a ‘turnaround bench’ concept that will solve the turnaround woes. Here’s the idea: the client has to define the specifics of each turnaround project and the resources they need; and those resources can be client-direct or contractors. 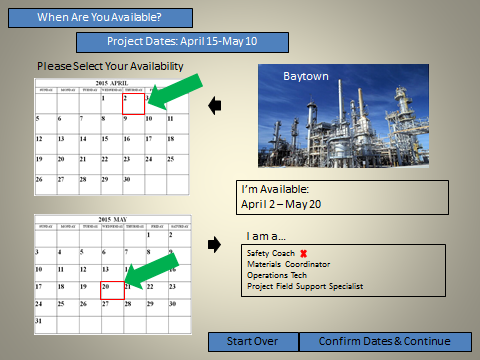 In turn, the “resources,” or turnaround specialists will then have the opportunity to review future project scheduling needs and sign-up for consideration on-demand. 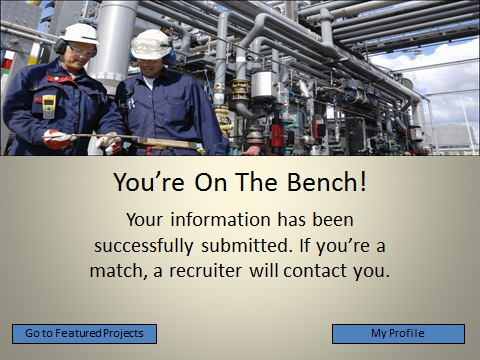 These candidates are 100% pre-qualified and are available when needed – based on their own admission of availability. Please note that these images are ONLY a proof of concept and are not indicative or accurate of current or past turnaround projects. If any readers are interested in learning more about our bench concept and can see the value in it, let’s have a conversation. Do you think there is an optimal way to structure an organization to facilitate a good project-turnaround, or is each case different? What are some of the current trends in plant turnarounds that will shape the future of this field? What are some of the challenges to recognizing that turnarounds are repeatable events that can be optimally challenged through proper planning and preparation? Chris Sutton has a sound foundation in the energy sector contracting from both Client and Contractor sides with specific expertise in building alliances to facilitate service capabilities. To contact Chris with any questions or comments, please send an email to Chris.S@clovergs.com.